Dinner Plate: All food like cakes! Poll: What do you think of Dinner Plates? The dinner plate is a proposed item, which can turn any Minecraft food into a block, like cake! To turn this into a plate, smelt it in a furnace. Thanks to cerealkiller for the plate pictures! Once you have a plate, you can put any food on it by right clicking it. From there, you can eat the food at your own pace, so you don't waste any! After finishing meat, a bone will pop out. Placing food on plates can be a way to feed animals. After a plate is used, it probably will get dirty. So wash it in a cauldron before using it again! Eat with silverware like a civilized human! Maybe THAT could be made of iron! By popular demand, bowls should be made placeable instead of plates. Food on plates could be pushed by pistons, and output redstone comparator signals. 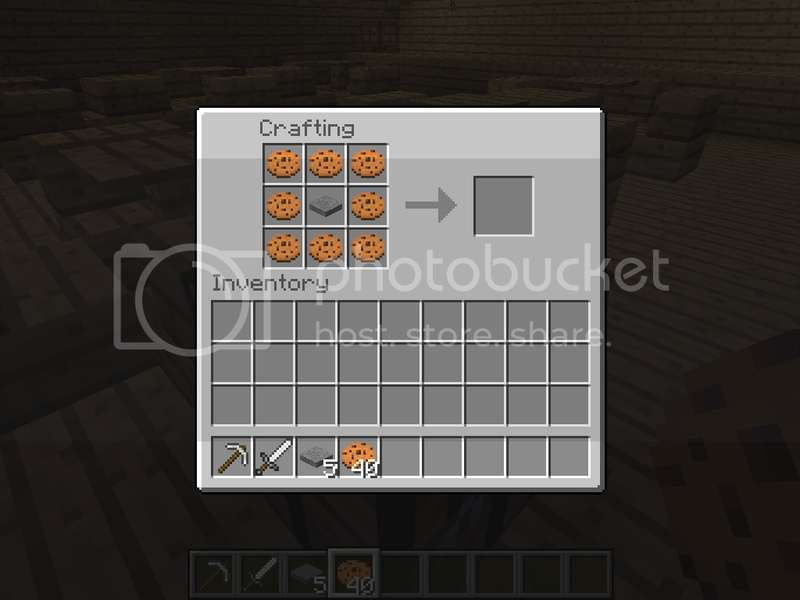 For smaller food items, multiple items should fit on one place, for example, cookies and carrots. Plates are only stackable to 8! Otherwise the tower will topple over! The amount of hunger food restores stays the same even when on a plate. So if something restores 3 bars, eating one bite will restore one bar and only 2/3 of the food will remain. Cerealkiller made an amazing signature for this topic! Help us support by using it! Another idea in mind: If you have smaller food items, like cookies or carrots, you should be able to fit multiple of them on one plate! If you like this idea, don't forget to press the green arrow right below this post to give reputation! I don't know about you but my plates aren't made of freaking iron. Love it! I just think maybe it should be made with glass or stone. I hope they add it to MC! Well, I think it was because there's no other material that best suits plates. Also, to be fair, it's called Dinner Plates. This has been a dream of mine. But there is one thing. 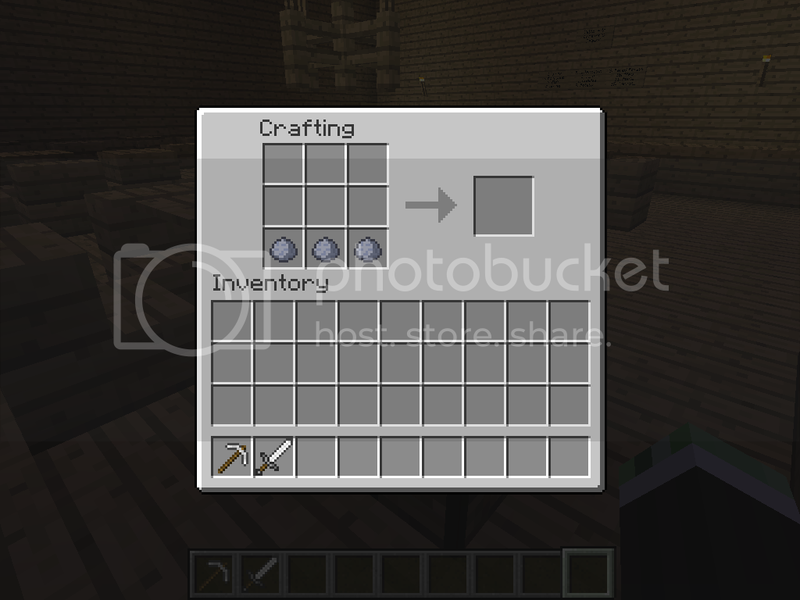 Smelt sandstone, that will make refined sandstone THEN put it in the shape of a bucket and you get 3 dinner plates. But 'Dinner'bone has to make this. I have always wanted something like this! With this recipe you get a "Greenware Plate" In order to make it useable, you have to fire it in the furnace. That's how the plates in my kitchen are made! And thanks to everyone who thinks this idea is good! I like the clay idea, and maybe we could add onto the pottery idea. Very good idea, i like this. Perhaps allow for two types of plates. "stone" and "wood". Wood plates can just be bowls, and same to stone. In order to get stuff done with mojang, you gotta recommend easy stuff. Like this is easy, just re-skin bowls and make them place-able. But it is your idea, go wherever you want with it. I think this is great. Why make a new recipe? We have bowls. Because a plate and a bowl are two different things. I love this idea. Raw beef/chicken/porkchops, rotten flesh and carrots (yes, carrots) could be rendered in 3D in an horizontal position (like in real life. Steak doesn't stand up on its own in real life, neither do carrots). Melon slices would be still in 2D, but it would be rotated by 45­­ degrees. The rest would be normally rendered in 2D like any other items on the ground. Or just make item frames placeable on floors and ceilings. I'd also like to see metal/glass versions of them. Since this idea is really cool, bump. I wish that more people give more attention to this idea. Right-click on the frame o get your item back, then eat it as usual. Pretty good idea. I defiantly prefer the clay plates that you bake over the iron idea. I don't know about anyone else, but my plates are ceramic, not iron. What about made of bricks? It would add a use for them.mi know they are being used for potted plants now. I like the idea and i hope more people like it. I think this is a great idea! However, once you've bitten out of a food it should not be able to be picked up again, just to prevent a duping type thing. I'm thinking each food has one bite for every half hunger it heals. I.E. Apples have 4 bites, Cookies have 1, Pork and Steak have 8, ect. Also, bowls of stew should only be place-able, like cake. And thanks for bumping cerealkiller! EDIT: Oops. That was an accident.